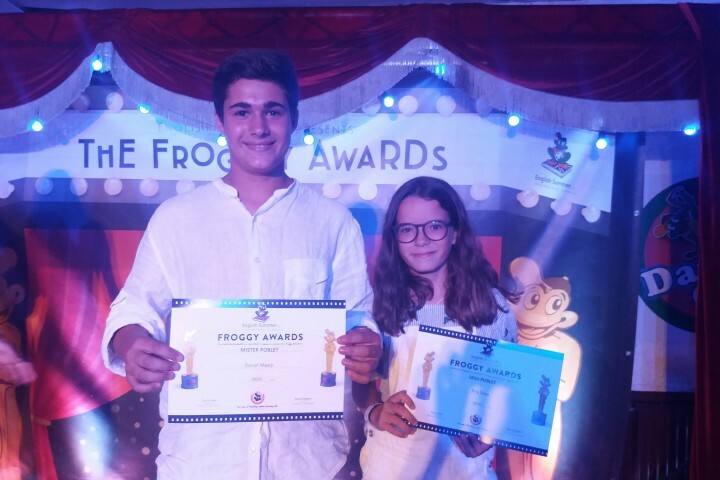 The week is coming to the end and yesterday we had one of the favourite parties of the kids, the Froggy Awards! Since we woke up in the morning at 8.45h they where waiting for the night. We started the day with an outdoor breakfast, where we took the food and we ate with our friends and monitors around the garden. 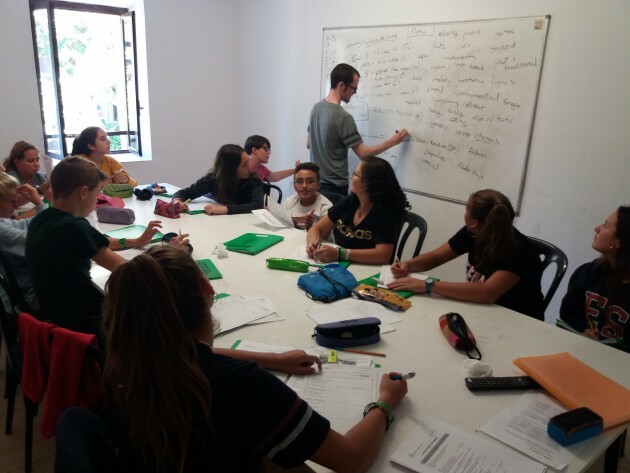 Then, the students went to class, it was the last day of classes before the final exam so they had to review all the things they have learned during the week. 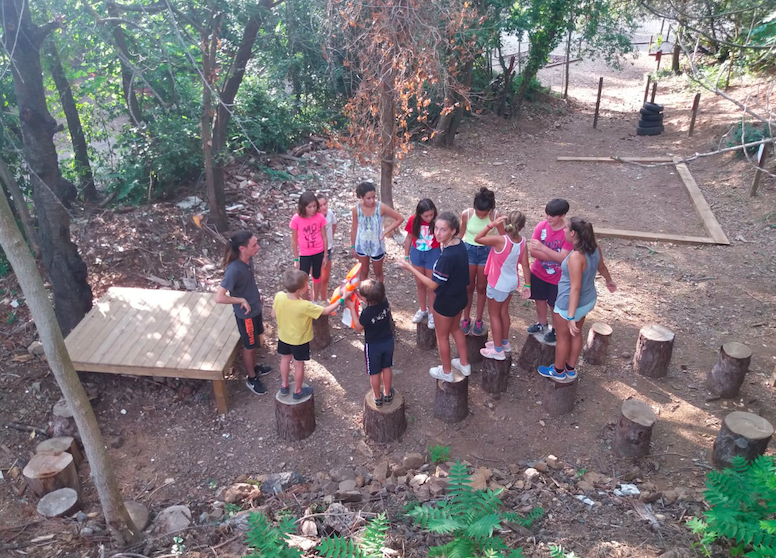 At clubs time we did problem solving activities as every day, yesterday activities for the first group where Risky Bridge, Crossroads, The boat is sinking and Lego and Scape Room for the other group. 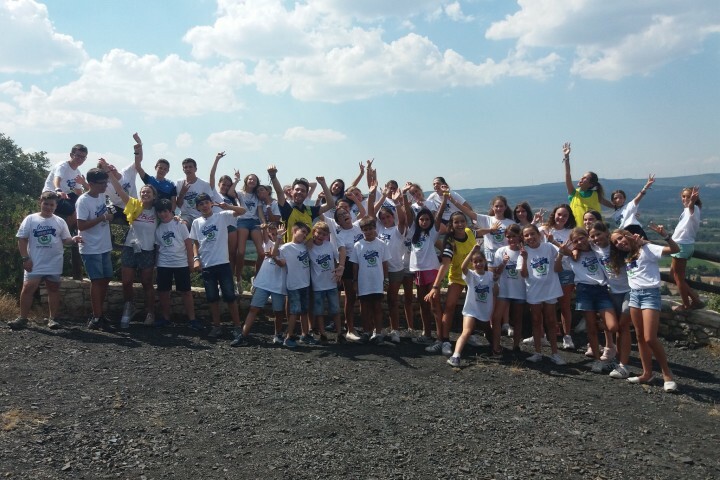 During the week the students had been playing individual sports in World Championship such as badminton, ping pong or chess, yesterday they played the last matches because tomorrow we have the finals! And at night…. 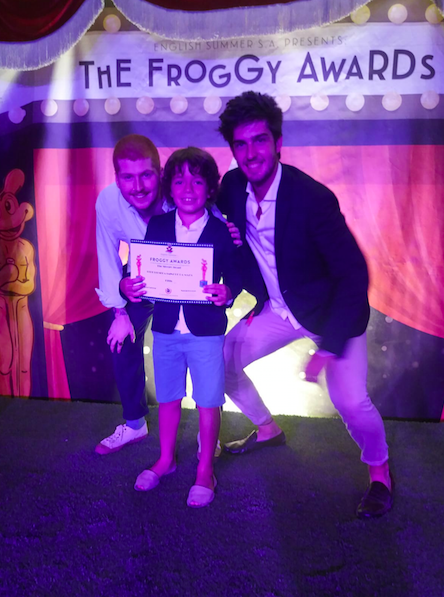 after shower time, everyone were wearing fancy clothes because we had a special dinner in the disco, we ate in round tables with some of our friends and monitors, and after it we had the Froggy Awards Ceremony where we presented some awards to the students such as The nicest, The most responsible, The most creative… and Miss and Mister Poblet. 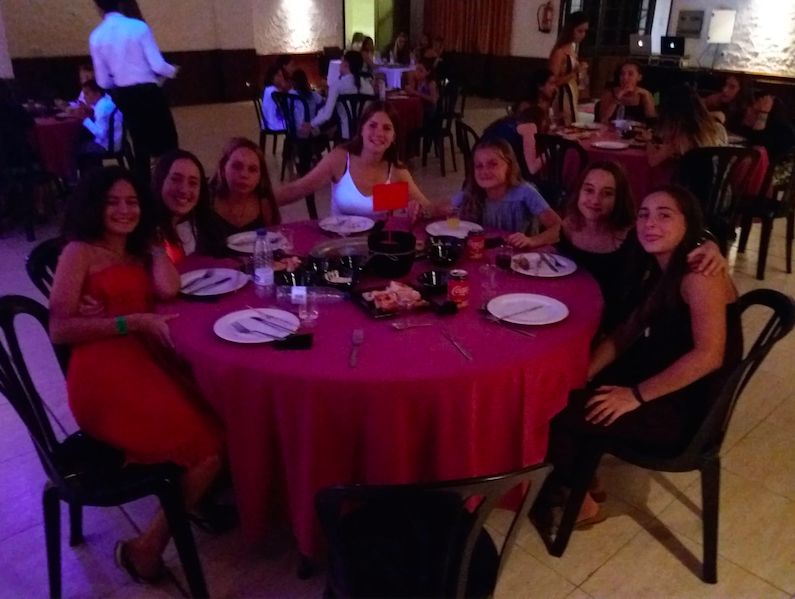 We end up the night dancing all together and then everyone went to sleep after an exciting day in English Summer! It was a very fun night full of very special and memorable moments! Watch it visiting our clients’ area to see our photos and send us an e-mail to esfpoblet@englishsummer.com. Remember to follow us in Facebook, Twitter and Instagram!